Here at the end of the year is the final chapter of A Garden Review of 2014. 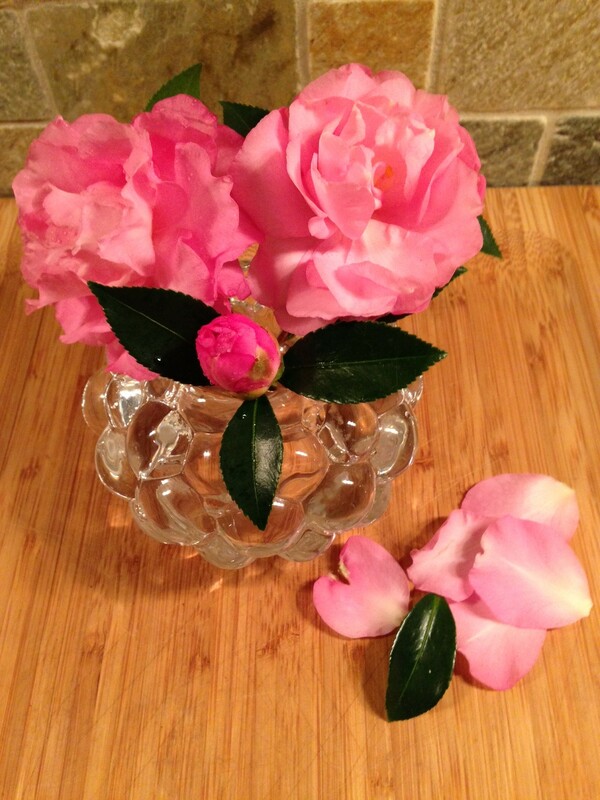 Thanks (and a very Happy New Year) to Cathy at WordsandHerbs for initiating this idea for sharing the key events/plants in our garden in quarterly reviews during December. Cathy, please accept my apologies for being a week late with this final report. 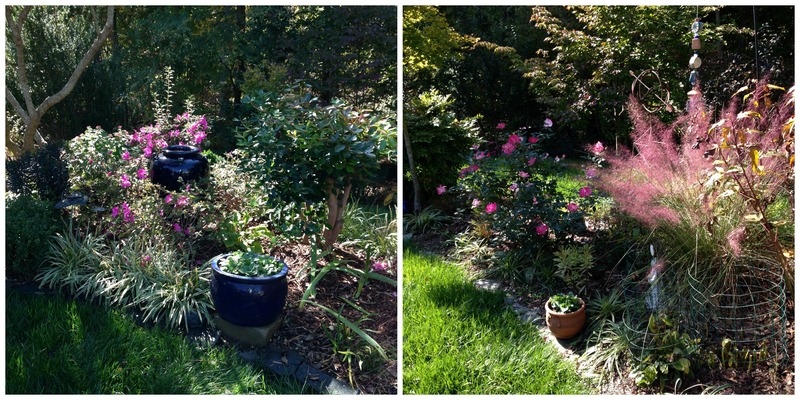 A highlight of our fall garden was the return to bloom of the many Encore azaleas. This photo was one of my offerings for In a Vase on Monday, but is repeated here to show the range of these soft pastel colors. 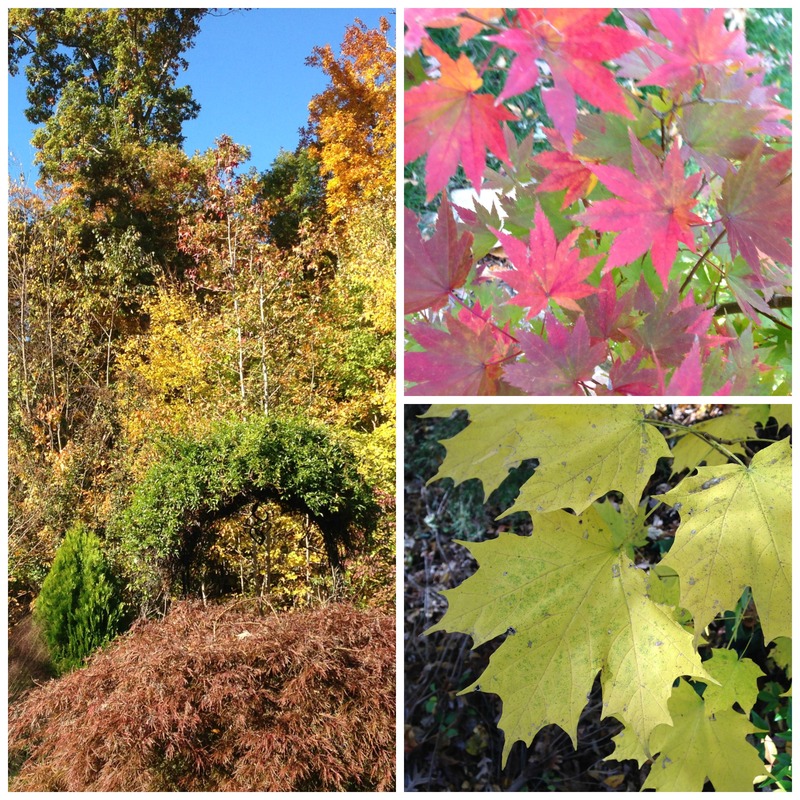 For us southern gardeners they add a whole new dimension to the autumn garden. Yet another returning bloomer was the bearded iris ‘Clarence.’ I grow more enchanted by its striking appearance each time it blooms. 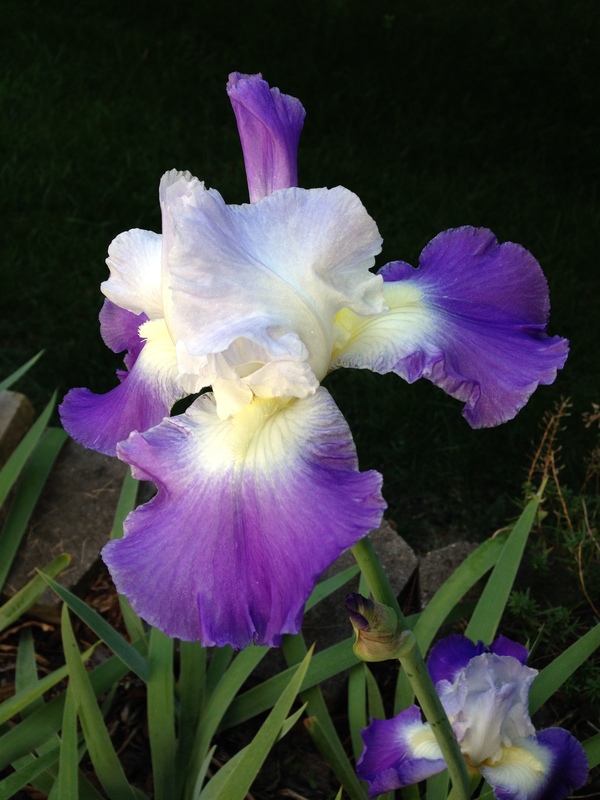 Having even a few iris blooming in the fall is a blessing. Border areas were alive with the colors of Encore azaleas, Knock Out roses, and muhly grass. Blue pots play in important part in the design of the border on the left. November brought unseasonably cold temperatures for this area. We experienced our first frost very early in the month, several weeks before normal. Most of the perennials came to their expected end a bit early. 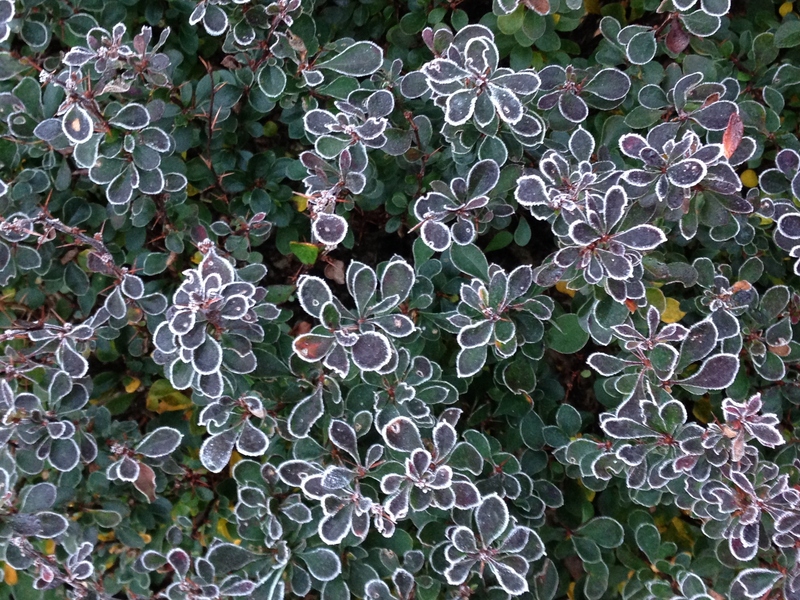 All was not lost, however, as frost on barberry foliage can sometimes be quite beautiful. It was also a time when we made the transition from summer to winter annuals. 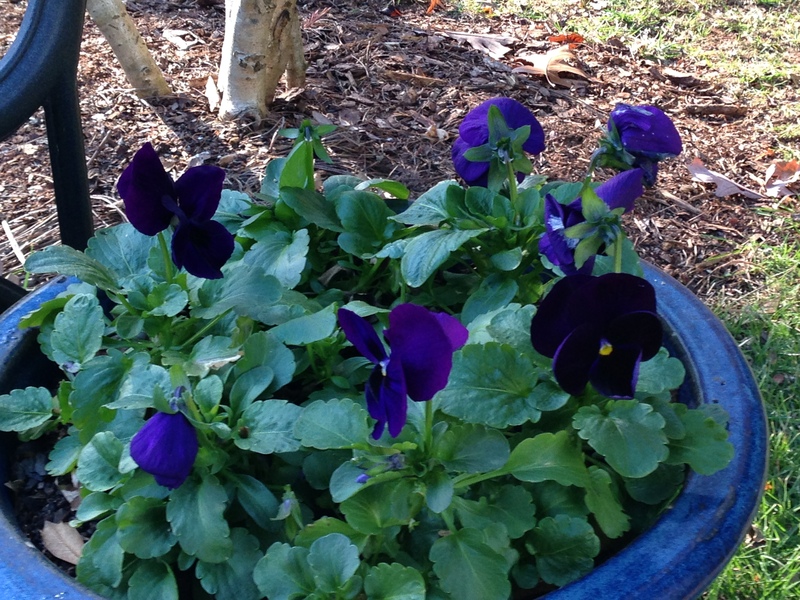 Pots of pansies appeared throughout the garden. December 2014 has been cold and damp. Walking around my garden is like walking on an unsqueezed sponge. Make no mistake, I love having the rain, but not so much in such a short period that it stands in puddles. Our clay just will not drain quickly enough. Yes, I do understand; I am not in control here. Much of what I would offer here for December was included in the GBFD (Garden Bloggers Foliage Day) portion of last week’s post, so I won’t repeat the photographs. I returned home after two days celebrating Christmas with my family to find the rain gauge with two inches in it. Even after a day of lovely weather I found myself sloshing around the garden; I still saw much about which to be excited: lots of spring bulb greenery which has already made an appearance, every stem on the Kousa dogwood seems to end in a flower bud, Autumn Ferns are making a statement in the woods, healthy ‘Winter Gem’ boxwood has weathered the frost with damage only to very late new growth, another camellia is ready to bloom, the bird feeders need to be refilled, and there are peony buds galore. I am not particularly excited about the rabbit damage to the liriope. 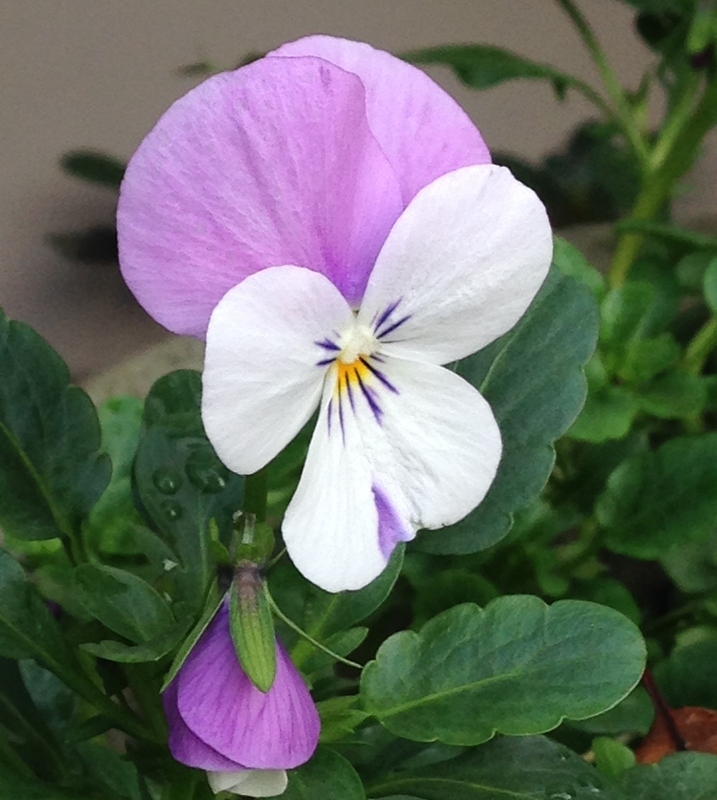 This picture of a single viola reminds me of several things about my winter garden. The viola persists in tough conditions that many other flowers cannot tolerate. It survives my neglect and less than perfect garden practices. And it gives me hope of an even more beautiful tomorrow. This entry was posted in Gardening, GBFD, In a Vase on Monday and tagged 'Winter Gem' boxwood, A Garden Review of 2014, Autumn fern, autumn leaves, barberry, bearded iris, Camellia 'Our Linda', Camellia sasanqua, Cathy, Clarence bearded iris, Encore azalea, Encore azaleas, Garden Bloggers Foliage Day, Knock Out roses, Kousa dogwood, liriope, muhly grass, pansy, peony, pots, rabbits, rain gauge, spring bulbs, viola, Words and Herbs. Bookmark the permalink. That was a nice surprise to see another review post John – I will add a link to my last post later today. 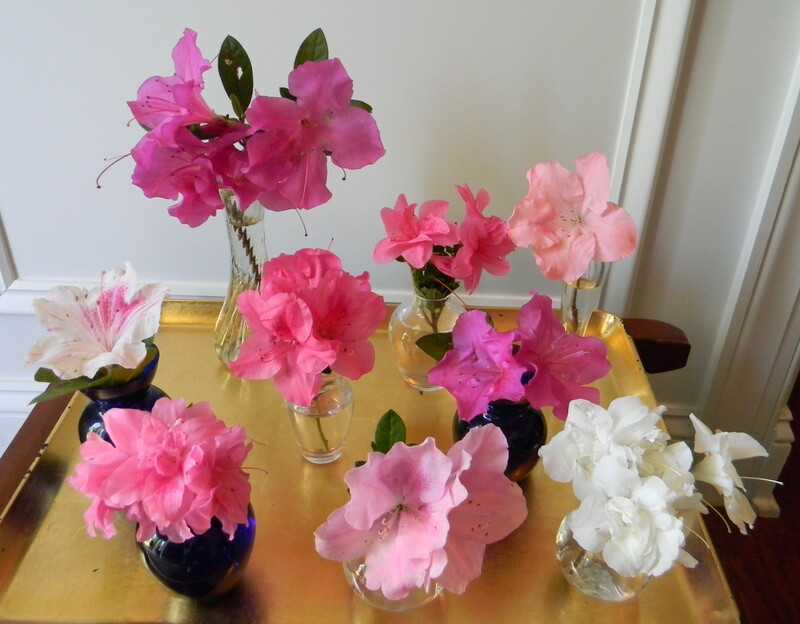 The azaleas and camellias are great colour for late in the year and look lovely in vases. And you are right about violas… I always think of them as hopeful and optimistic little flowers, braving the frosts and bouncing back as soon as the weather warms up again. I really should plant more of them! Thanks for joining in with the reviews. I have enjoyed getting to know your garden! I wish you a very Happy New Year too! Thanks, Cathy. This is an important meme for gardeners in that it increases the motivation to look more closely at what we are doing (and not doing). Glad to be a part of it. Hope I can remember to keep my camera at the ready. Can’t believe we have more rain on the way. We have certainly had more than our share lately. Thanks Marian. We were in Simpsonville for Christmas…what a beautiful day. I like blue ceramic pots in the garden too! Your Azaleas and iris are amazing, not something that we see very often over here. Wishing you a very happy gardening 2015! Thanks, Pauline. My hopes to you for a grand gardening year as well. Your bearded iris ‘Clarence’ is quite stunning. I love the azaleas, though of all rebloomers, I haven’t quite gotten used to seeing them in autumn. May finally try some. Thanks, Susie. Will look forward to seeing what you decide.